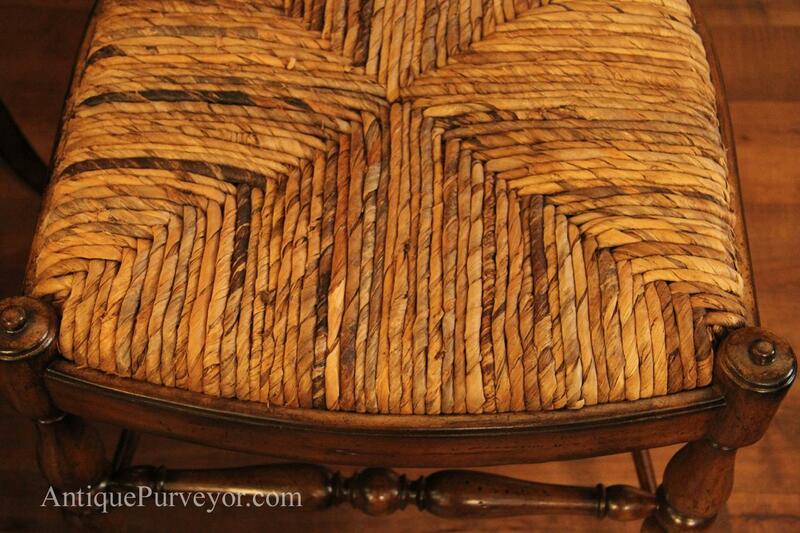 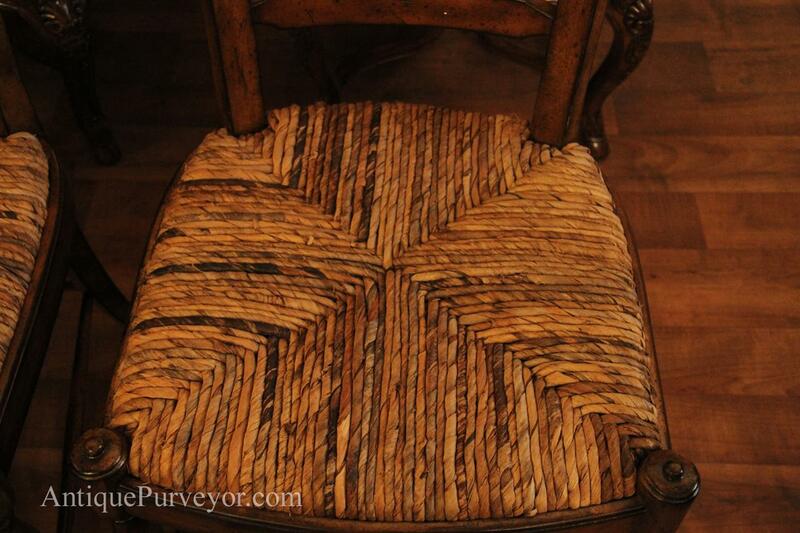 Description: Rustic country style woven reed or rush seat chairs for the casual dining room or kitchen. 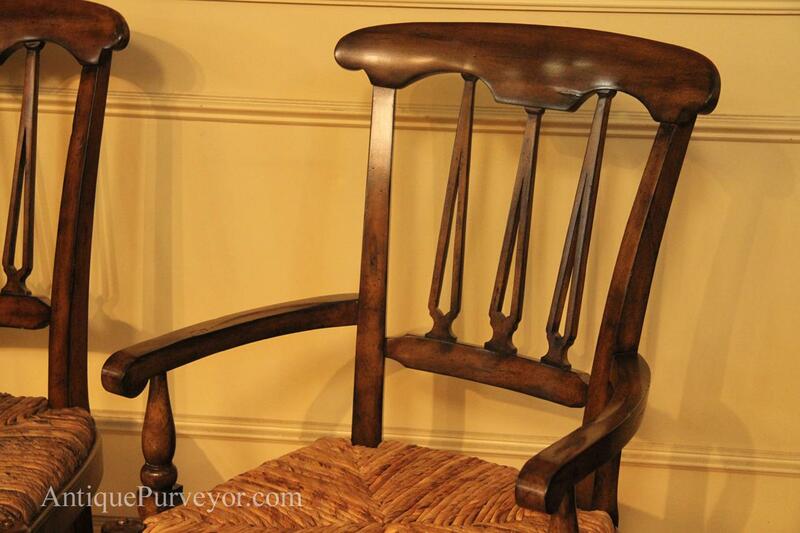 These are resilient chairs perfect for everyday use and are also kid friendly chairs. 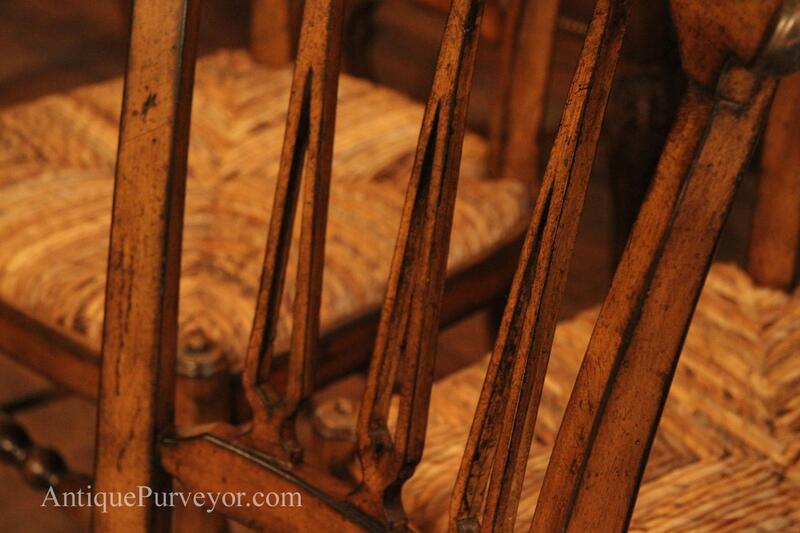 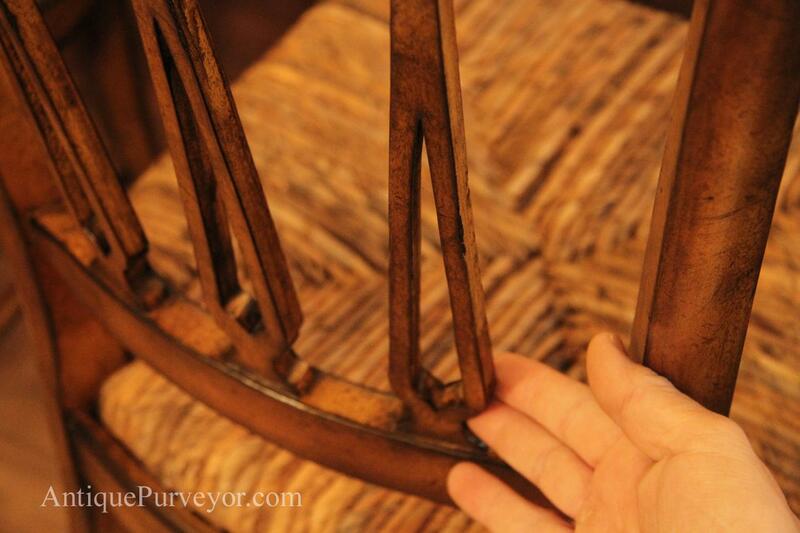 Tough as nails, the seats are woven reed on hardwood seats so there is plenty of strength and durability under the reed. 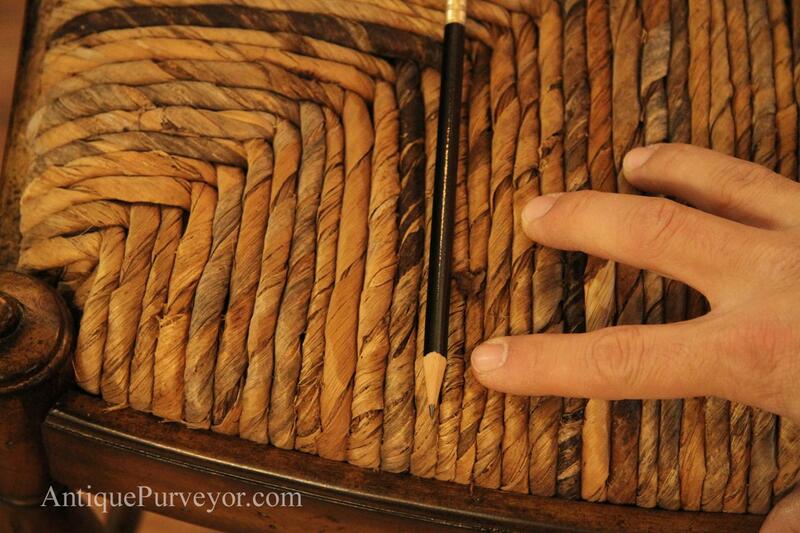 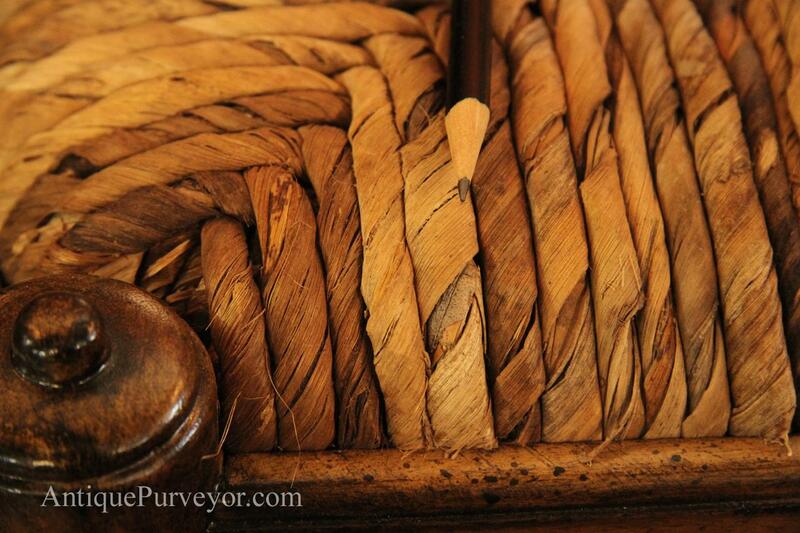 The reed is thick and we show the thickness in some of the pictures with a pencil to show its scale. 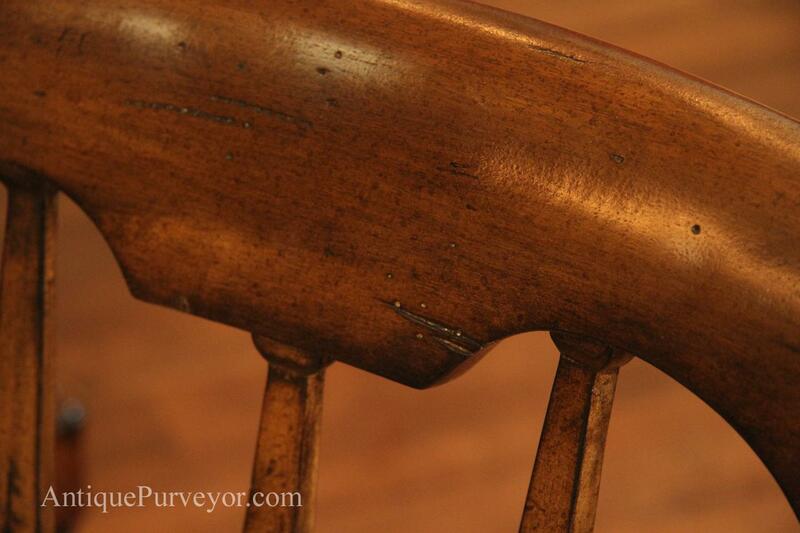 Seat is removable and works like slip seats. 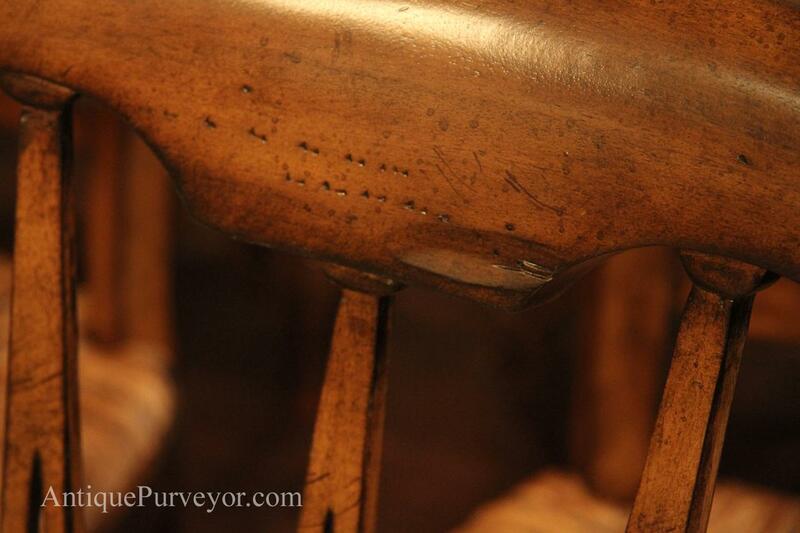 Heavily distressed frames will take quite the punishment and never look damaged. 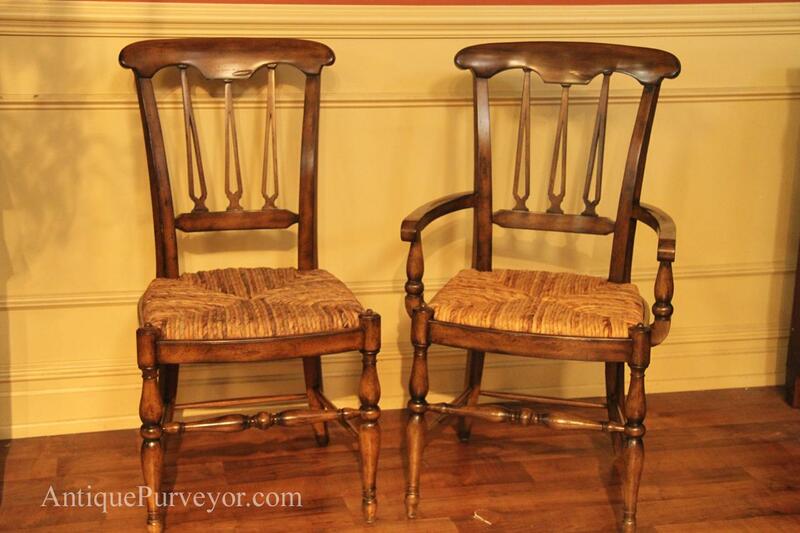 Very comfortable chairs and the frames are rock solid. 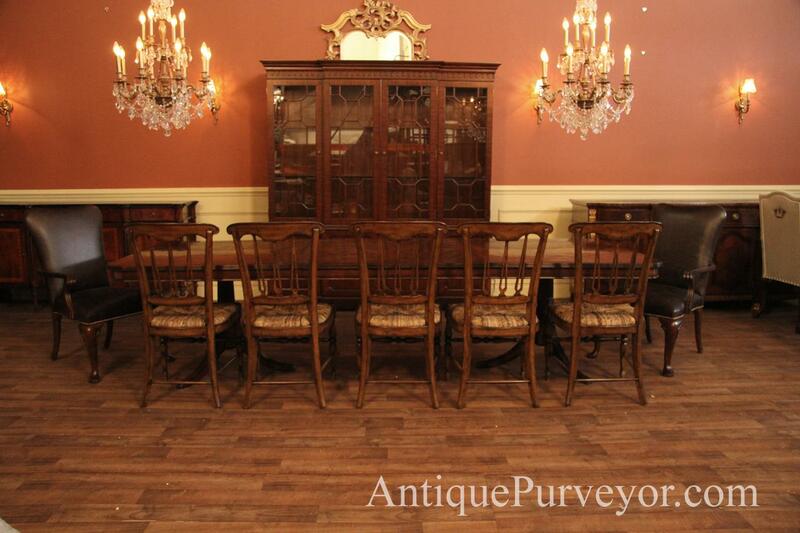 These are not cheap chinese imports and are very good quality for the higher end home. 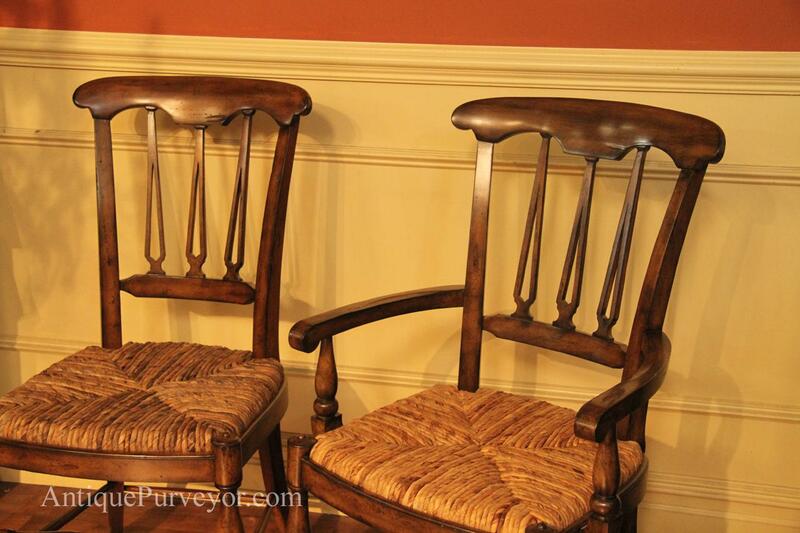 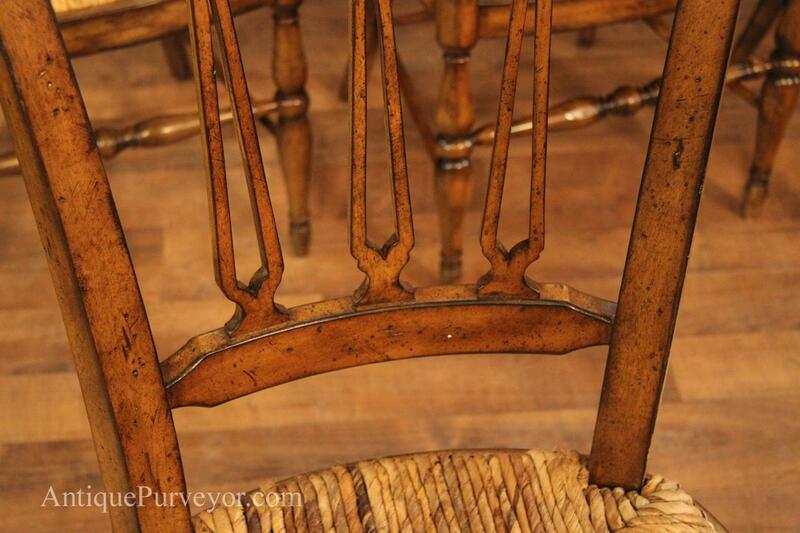 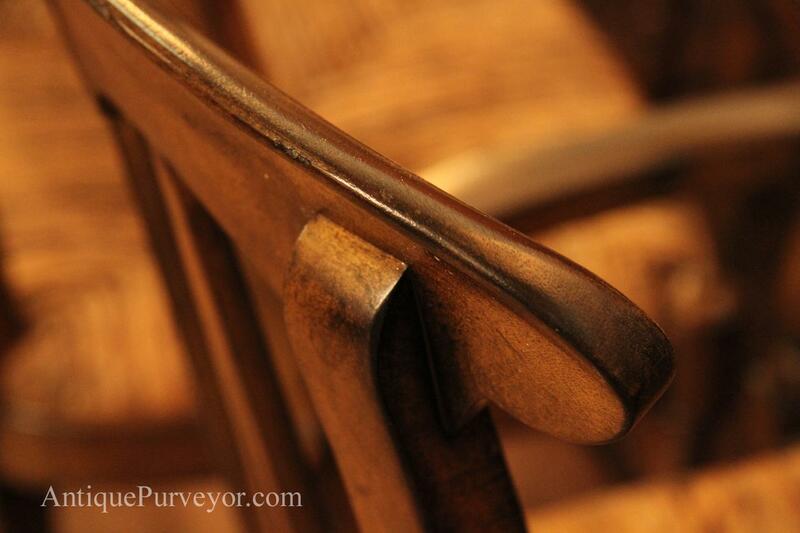 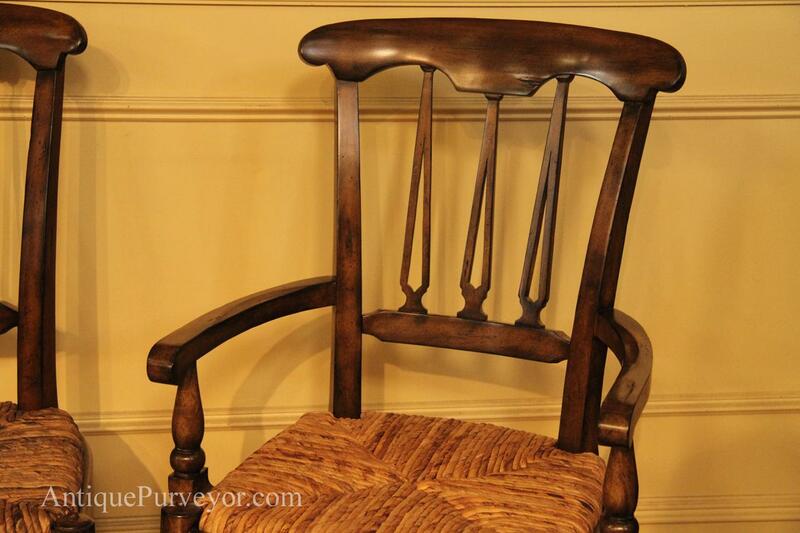 The finish on these chairs are a walnut, or ash color. 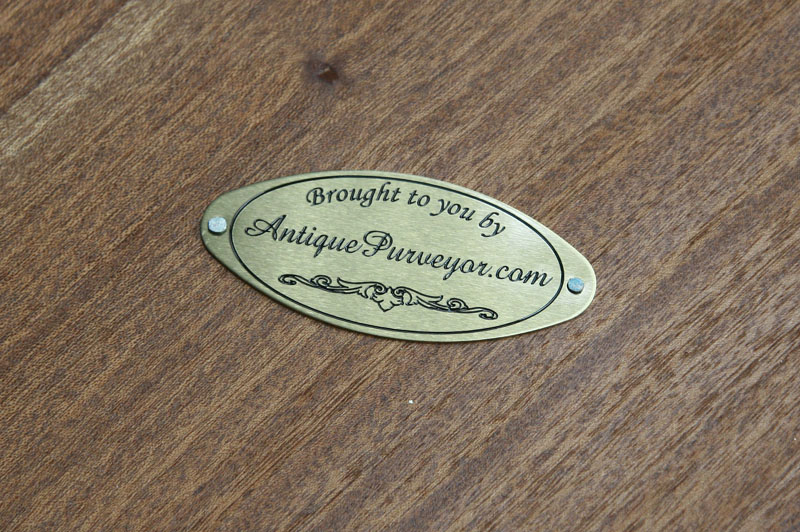 They would not match our mahogany tables but can be toned to match most cherry or mahogany if needed and we can do that for you. 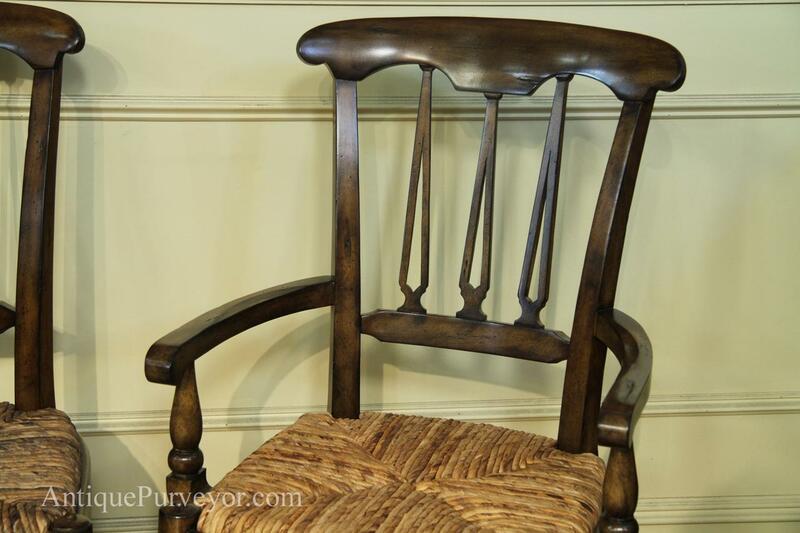 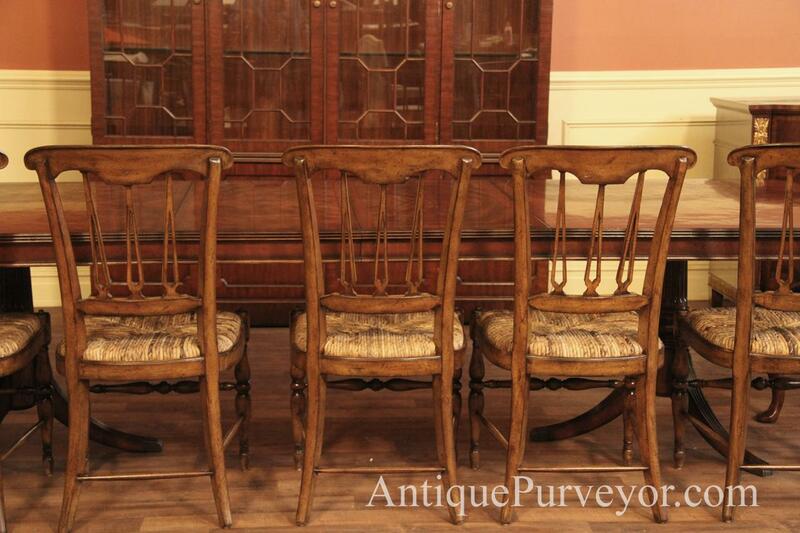 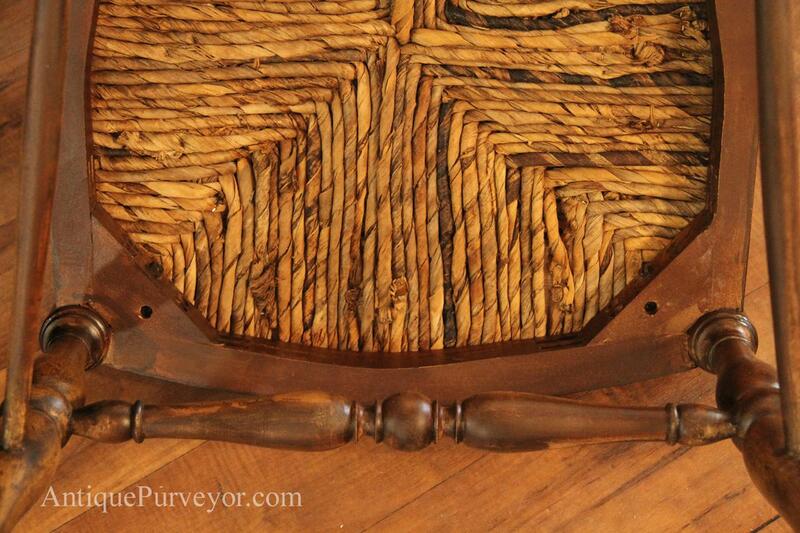 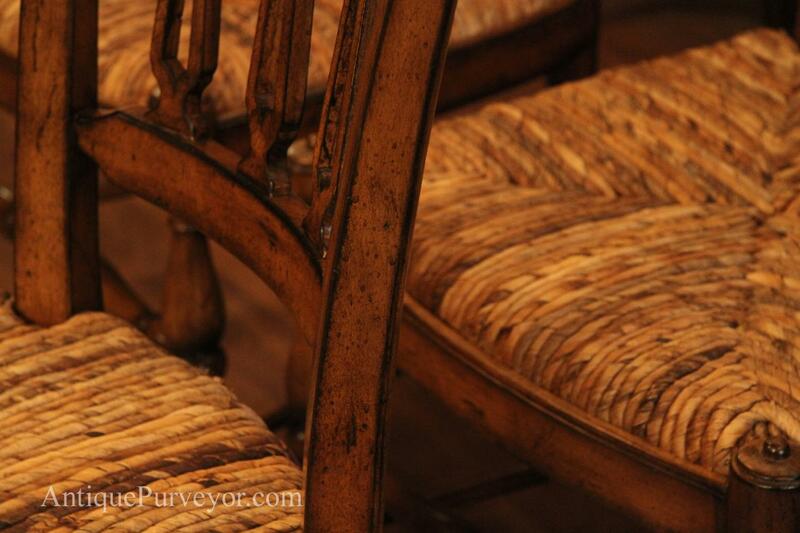 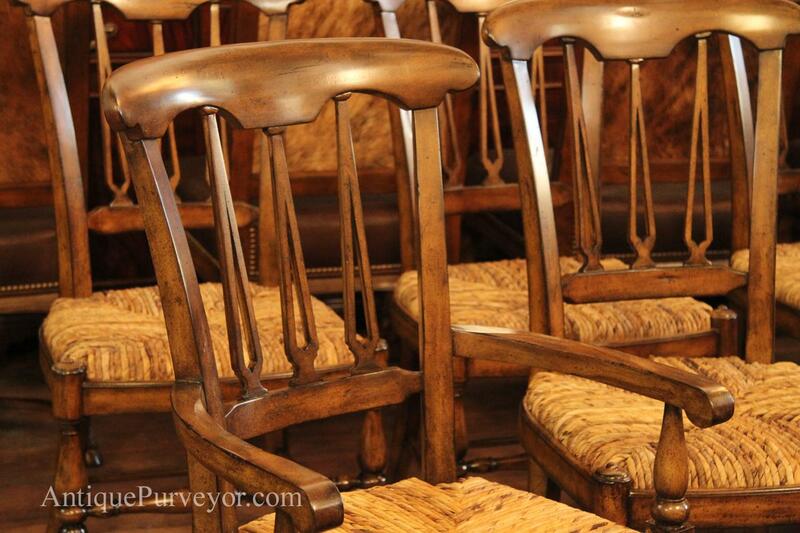 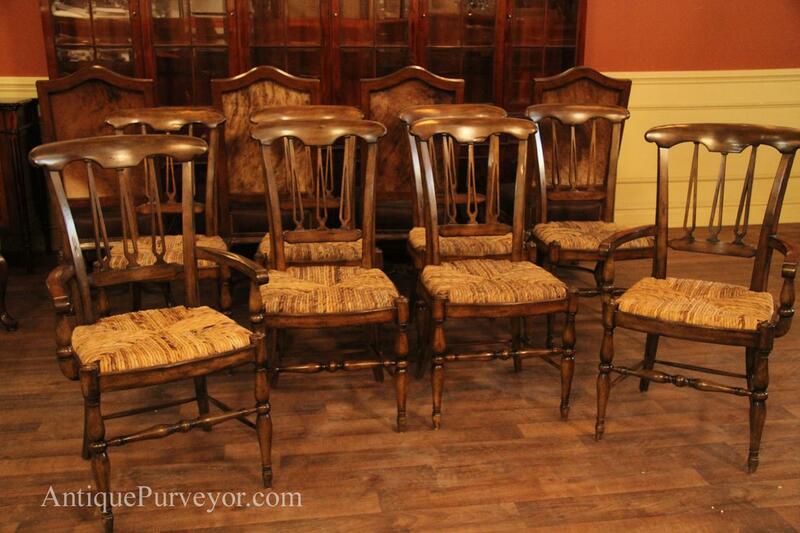 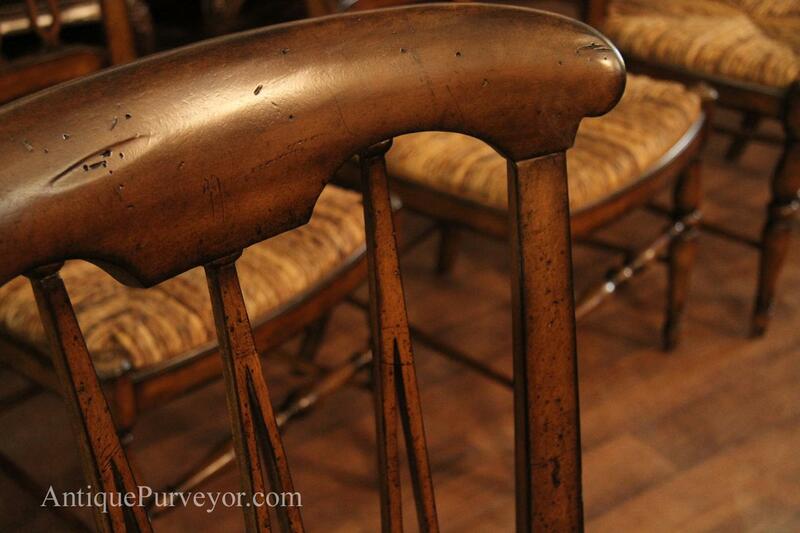 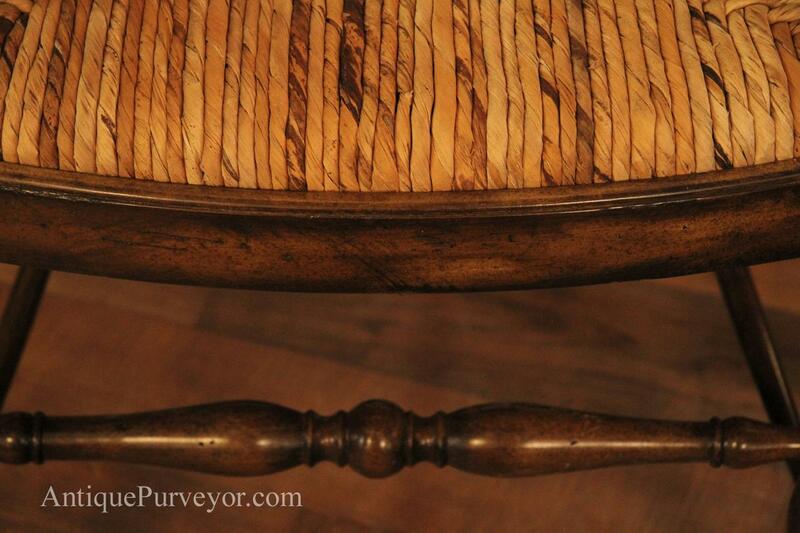 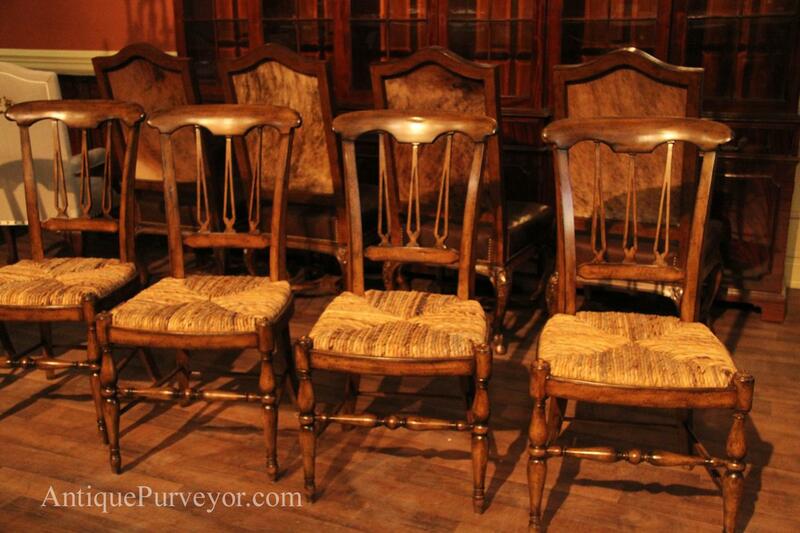 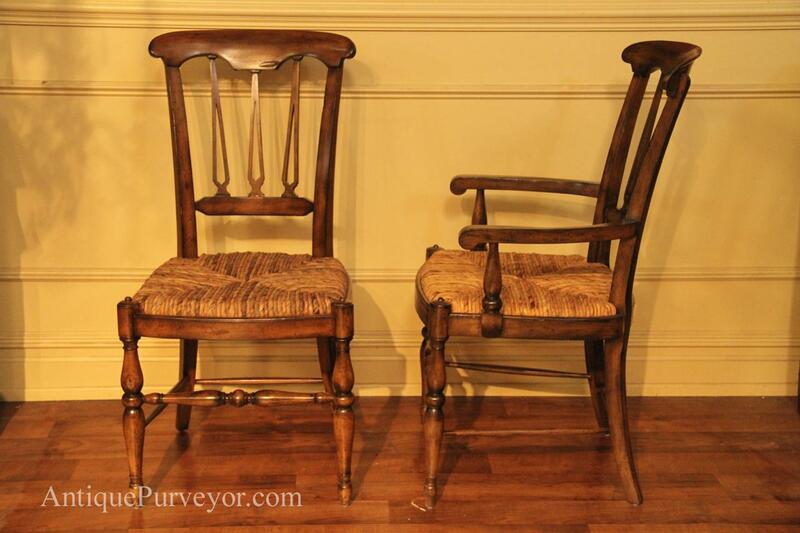 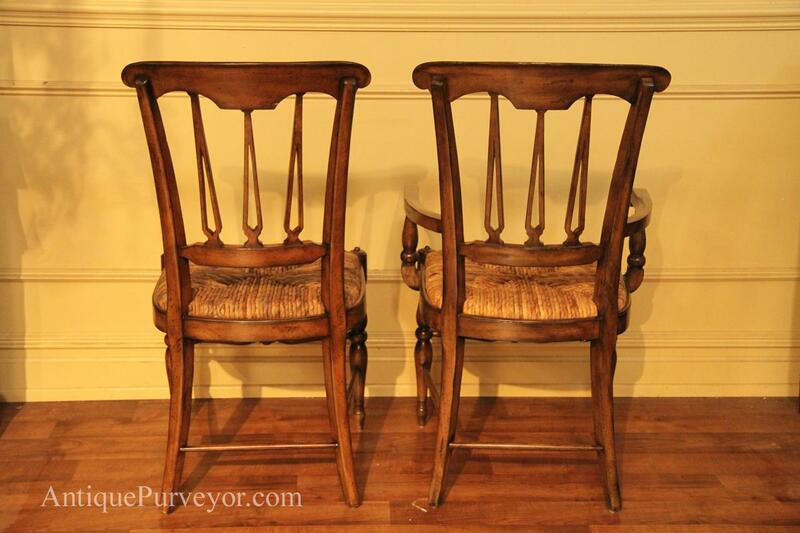 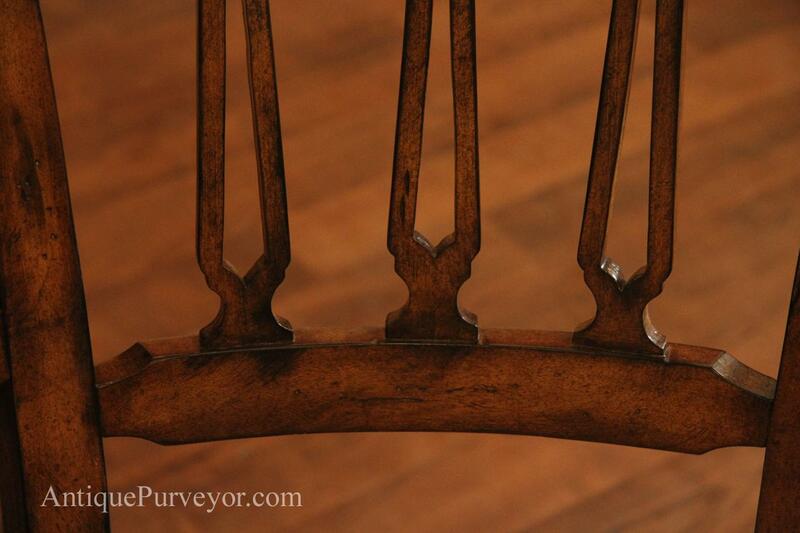 These chairs have some green in the finish which makes them perfectly fit for most true walnut or ash color decor.